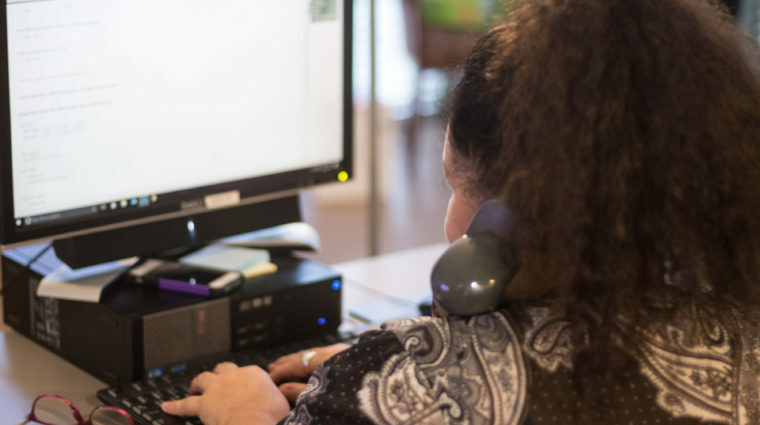 Crisis Counselor answers call on YWCA Nashville & Middle Tennessee’s 24-Hour Crisis & Support Helpline. NASHVILLE, Tenn. – The state of Tennessee is top ten in the nation for domestic violence homicides, according to local experts. Tragedy unfolded Saturday night when police found Tonya Davis dead in the entryway of her home on Southside Court. Her husband, Cleveland Lamont Bell, admitted to police he shot his wife during a heated argument. Unfortunately, this is not uncommon. “Tennessee ranks fourth at the rate which men kill women, so this is really an epidemic in our community which is why the YWCA helps folks find safety,” Allison Cantway said. Cantway manages a domestic violence shelter. She said what happened is devastating. “Any instance of domestic violence is a tragedy, and so at the YWCA, we are really thinking about the victim and her family right now and keeping them in our thoughts,” Cantway said. Dr. Lauren Brown said help is out there. She’s dedicated her life’s work to reducing the number of domestic-related fatalities. If you have a loved one suffering from an abusive relationship, she said you should reach out to an expert for help. “One of the most important things is that you never give up on that person who’s experiencing this,” Dr. Brown said. The good news is, there are survivors. “If you’re in a relationship with someone who makes you afraid, there are people to listen and to reach out to, and they will not pressure you to leave or do anything that you don’t want to do,” Dr. Brown said. The YWCA provides emergency housing for survivors, too. If you happen to find yourself in a domestic violence crisis, you can call the YWCA’s hotline for help at 1-800-334-4628. The Metro Police Department is working to stop domestic violence homicides through the lethality assessment protocol. When officers respond to a domestic situation, they have victims respond to a series of questions to determine if they are at risk of being killed. According to recent statistics released by the Tennessee Bureau of Investigation, a total of 77,846 domestic violence offenses were reported in 2017. Females were three times more likely to be victimized, and they accounted for 71.5 percent of reported victims. To view this story on NewsChannel 5 website, click here.